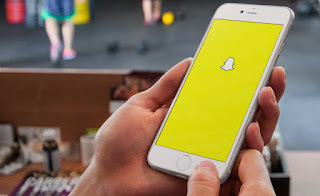 Snapchat has continued to make itself relevant over the years by trying to add unique features that will make users more interested in finding it useful in their everyday lives. And according to new reports, the app has become so popular among teens even to the extent of surpassing Facebook, Twitter and Instagram. A latest Piper Jaffray Study titled Taking Stock with Teens which involved about 6500 US teens revealed that more teens choose Snapchat over Instagram, Twitter and Facebook. The objective of the poll was to find out the most used social network among teens. The result of the poll showed Snapchat taking 28% of the votes, followed by instagram, twitter and Facebook. From this result, one could conclude that teens tend to be more interested in pictures and videos rather than reading more texts as seen on Facebook and Twitter. What do you think about the result of this poll by Piper Jaffray, what is your most used social media platform? Let's have it in the comments section. Cheers!